Heartbreak permeates "Black and White Rainbows," the latest album from Bush. Singer-songwriter Gavin Rossdale crafted the album after suffering through a divorce from pop star/reality TV host Gwen Stefani in 2015. “Still got mad love for you baby” is one of the melancholy phrases Rossdale belts out in the direction of the mother of his three children. Rossdale, 52, is slow and deliberate when choosing words to describe how he felt when his marriage splintered in public. “It was incredibly difficult,” Rossdale said while calling from his Los Angeles home. “Black and White Rainbows” is a far cry from the early Bush albums, which were platinum-plus monsters. The new songs are direct. Rossdale’s lyrics from back in the day were, at times, inscrutable. “I’ve taken quite a journey as a lyricist,” Rossdale said. When Bush – which will perform Saturday, April 7 at Caesars Atlantic City – hit in the U.S. during the mid-90s post-grunge era, the British band was critically drubbed. These days, the group’s profile isn’t as wide, but reviews have been favorable, for the most part. “It’s funny how that works,” Rossdale said. Nothing hurt Rossdale and Bush more than a 1996 Rolling Stone cover. “Why won’t anyone take Gavin Rossdale seriously?” was the question next to a bare-chested Rossdale. “I’ve never seen anything like it since,” Rossdale said. Rossdale rose above it after asking David Bowie for advice while on tour with The Thin White Duke during the Clinton era. Rossdale has survived while a myriad of bands from the ‘90s have fallen by the wayside. “I would rather not be the band on the cover of Rolling Stone that is declared the new messiah and fade,” Rossdale said. Bush, which also includes drummer Robin Goodridge, guitarist Chris Traynor and bassist Corey Britz, broke up in 2002, but reunited in 2010. The group has released three albums since reforming, and another project is on the way. 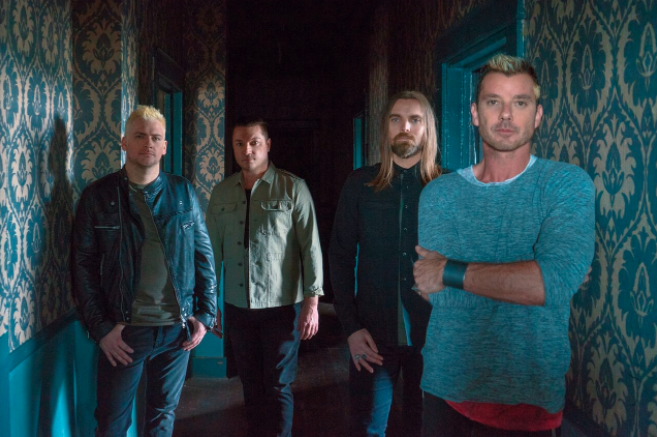 “It’s amazing to have a band that people want to see,” Rossdale said. Bush appears Saturday, April 7 at Caesars Atlantic City, 2100 Pacific Ave., Atlantic City, N.J. Tickets are $45.50, $55.50 and $65.50. Show time is 8 p.m.